Picking up where last week’s article left off, I’m continuing my NBA preview coverage with a discussion about the Pacific division. This particular division could get very interesting this season now that the main challenger to the Golden State Warriors’ throne plays in their backyard, and like last year, we could very well see the true excitement of the Finals take place well before the Finals actually come. I’ll save some of the more obvious discussions for later in the article, but first I want to look at the underdog teams of the Pacific and who will be their most important players as the 2018-2019 season kicks off. In 2016, Buddy Hield was a draft prospect that everyone seemed to be crazy about. The 6’4″ shooting guard out of Oklahoma showed promise as a slightly older player with a total of four years of college experience. New Orleans selected Hield with the 6th overall pick, and he played for them until February of 2017 before being traded (along with others) to Sacramento in exchange for DeMarcus Cousins. 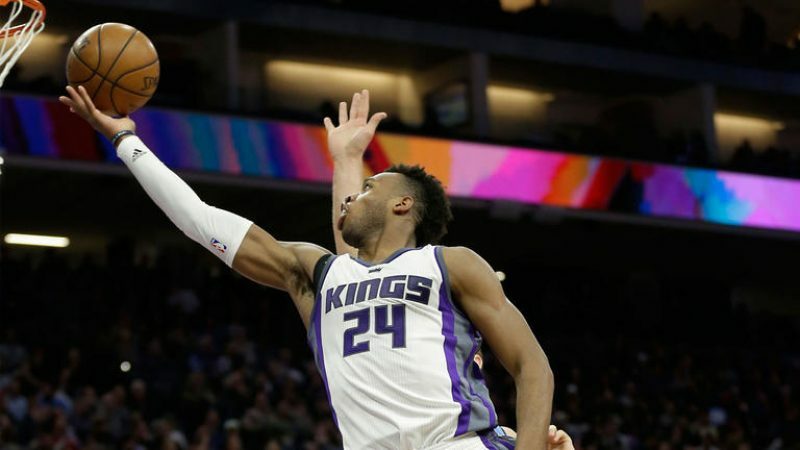 The Kings are really anyone’s team to make their own this season, and I think the opportunity is wide open for someone like Hield to step up and make a name for himself. Entering his third year in the NBA, Hield is averaging 13.5 points, 3.8 rebounds and 1.9 assists in roughly 25 minutes per game. Last season he shot a respectable 44.6% from the field and an impressive 43.7% from distance while only turning the ball over an average of 1.6 times per game. For a second-year player, these stats are noteworthy and if Hield continues to develop at this pace he could be a key player for Sacramento as they look to establish their new identity. The Kings have key veterans like Zach Randolph and Kosta Koufus to keep the team grounded, as well as up and comers like Marvin Bagley, Harry Giles and Willie Cauley-Stein who can complement Hield and make up the team’s new young core. I don’t see Sacramento in the playoffs this year, but in a few year’s time with the right development, this young group could be something special. The Suns are another team looking to establish their footing in the Western Conference and they made moves to acquire a couple of key role players this offseason. Although they brought on forward Josh Jackson with the 4th overall pick in last year’s draft, Phoenix placed dead-last in the league last season with a meager 21 wins. The Suns picked up Trevor Ariza and Ryan Anderson from the Houston Rockets this summer and they’ve been rumored to be pursuing Jimmy Butler, but unfortunately, they don’t really have the pieces to make the trade work for their organization. Phoenix did acquire Mikal Bridges from the Philadelphia 76ers who selected Bridges as the 10th overall pick in this year’s draft, and they immediately signed him to a multi-year deal. As with any rookie, time will tell if Bridges turns out to be the star they hope he will be, but for now he’s just another rookie who has to prove himself. Devin Booker has been the star of the Suns for the past couple of seasons, but with only a few years of experience in the league, it’s going to take him some time to establish himself if he’s not able to get the support he needs out of the rest of the roster. Phoenix did a good job by acquiring role players to fill the gaps, but Booker has been used to taking the competition on by himself so he will likely need time to adjust to relying on his teammates to help shoulder the burden. The Suns are Booker’s team to build, and hopefully now that they’re helping him by filling in some veterans and rookie draft talent, he’ll be able to put the pieces together. It’s unclear if the Suns will spend another season tanking in order to acquire more top picks, but it’s obvious that they intend to build on Booker who signed his 5-year $158 million dollar contract extension in July. Los Angeles is a hotbed of talent as the popularity of the city brings athletes from all over the world to compete for a spot on one of their rosters. However, despite having all the pieces of the puzzle, the Clippers have had an extremely difficult time putting it all together. I personally believe the problem lies with coach Doc Rivers, but that’s a tale for another time. This season, the Clippers have key role players like Lou Williams, Patrick Beverly, Milos Teodosic and Danilo Gallinari, but there isn’t a main guy to bring it all together. In the past, they relied on Blake Griffin and Chris Paul to lead the charge, but with Griffin shipped off to Detroit and Paul working to take over the West in Houston, the Clippers are left without a headliner to take them to the next level. Although it hasn’t happened yet, I’m pretty sure we will see Butler playing in Los Angeles this season, and he couldn’t be a better fit for the Clippers organization. Butler is the aggressive piece this group needs to complete their lineup, and elevate their game. If the Clippers can work to secure Butler they will have done well to solidify the future of their team. By now, most people have concluded that the Warriors will continue their reign over the NBA, and that their championships are on lock as long as Stephen Curry and Kevin Durant play for the organization. But, I happen to think they made a grave mistake in the off-season that could potentially cost them big this year. Acquiring Cousins this summer was the most important move the Warriors made, and I don’t mean that in a good way. When you look at what makes the Warriors offense so good, it’s how quickly the ball moves around the floor as the team passes until they get the perfect look. The ball hardly ever touches the floor as their defenders are left bewildered at how quickly and efficiently the Warriors make their way to the basket. They’re unconcerned with who makes the shot, as long as the shot is made and their score goes up. It’s this type of unselfish basketball that has transcended their team from good to great. In my opinion, Cousins’ game is the polar opposite of this style of play. Now, don’t get me wrong. Cousins is a hall-of-fame level player and an incredible athlete. His stats are unreal, and he’s an absolute beast under the rim. However, Cousins is a complete barricade to ball movement. Once the ball gets to him, it stops, and that’s going to throw the Warriors’ offense into a tailspin if they aren’t careful. If the Warriors can somehow turn Cousins into a role player, he might be their secret weapon, but I’m skeptical he can make the transition. LeBron James as a Laker has always seemed inevitable and he’s finally made his way to the Western Conference as he enters the last chapters of his career. Teaming up with Magic Johnson in a match that could only have been made in basketball heaven, James is the new face of the Lakers franchise as they look to secure a couple more before the King hangs up his crown. Among the long list of things that makes James special, he has an uncanny ability to take nearly any group of guys and turn them into a championship contending team. His formula for success has been sharpened to near-perfection over the years to where he’s able to accomplish the seemingly impossible in a very short period of time. Lonzo Ball and Kyle Kuzma have the opportunity of a lifetime playing with James and if they play their cards right, they can glean some expert knowledge as they look to advance in their careers. These years of James’ career are going to be the most special to witness. He’s still in prime physical condition with the sage wisdom of a basketball Yoda of sorts, and he has a clean slate to create a new masterpiece. Maybe they won’t win this year, but I definitely think we can expect to see another ring in the Lakers very near future. Time will tell if my predictions pan out, but for the first time in a long time, I have serious doubts about the Warriors as the new season approaches. Is Tyronn Lue the right fit for the Lakers?